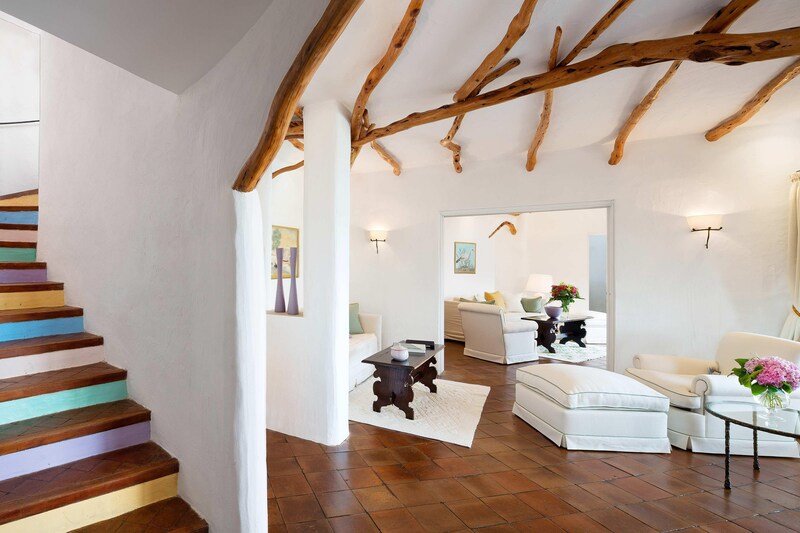 A haven of thoughtful comforts and exquisite local design, each of the 121 guest rooms celebrate the region&apos;s natural beauty and superb Sardinian artistry. Simple whitewashed walls are decorated with whimsical trompe l&apos;oeil paintings, unique to each room. Accents of soft pastel colours echo the landscape&apos;s spring and summer palette. 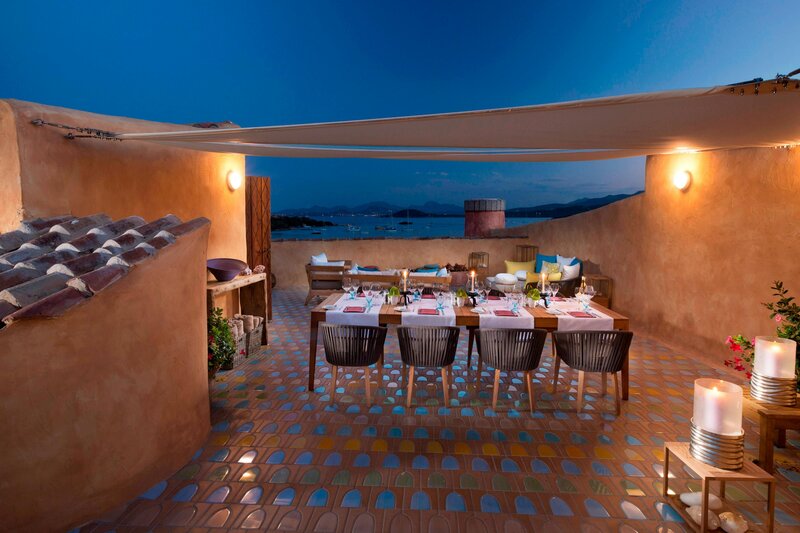 Handcrafted furniture is painted to match each room&apos;s singular theme, complemented further by vibrant ceramic tile work on the floors and in the bathrooms. 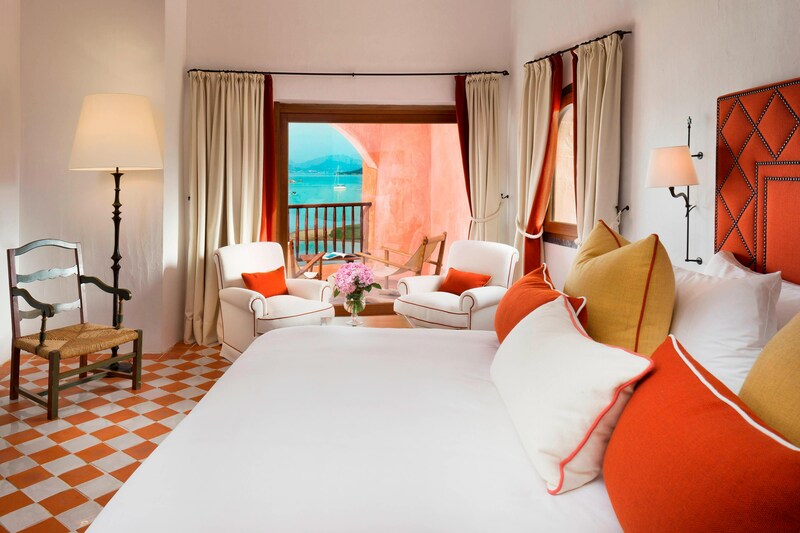 Linger on your private terrace in a plush bathrobe and slippers, while soaking in the stunning panorama of land and sea, before retreating into the marble bathroom, where our premium bath products await. Refresh yourself with bottled water, replenished daily and enjoy the generous selection of treats—many of local origin—found in each room&apos;s refreshment centre. High-Speed Internet Access provides a seamless connection to life at home, while multiple-language satellite channels, flat screen LCD televisions, DVD players, and a selection of in-room movies provide effortless entertainment. Your next stay at this Luxury Collection hotel will be enriched by our smoke-free guest rooms.